If your factory head unit is suffering from the "ERR3" symptom the cheapest way to fix the problem is to replace the factory head unit with a after market one. You can get the original one fixed but will cost you a few hundred Euro. Most Altezza's to the best of my knowledge have the external amp systems. This makes it trickier than usual to add an after market head unit to your car. There is no widely available after market ISO adapter loom for this setup. There is one company in England that has started producing them but at a price. Click HERE to get one of these adapters. If you don't want to spend that much you can get the cheaper Autoleads one HERE. This is cheaper, but the finish doesn't really match the rest of the dash, it does come with a larger cubby hole for storage and you need to re-use the original plastic part you have that contains the TRC/SNOW buttons. Then obviously a head unit of your choice. With the above adapter you can fit a single or double din unit. Last edited by Dan on Sun May 04, 2008 9:37 pm, edited 5 times in total. 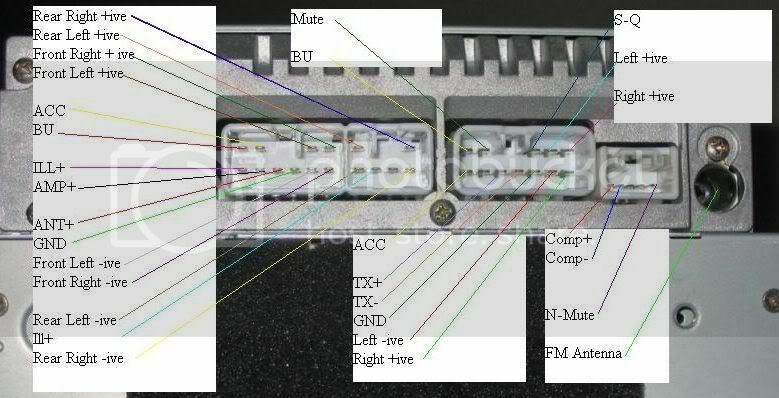 This might help with wiring a headunit. i have the altezza with the on board amp! i ave tryed the links on this page 2 obtain the by-pass kit but have had no joy! i woz just wondering if anyone on the forum cud help with this, or even point me in the direction 2 obtain an amp by-pass kit! thanx, any help is greatly appreciated on this! as the factory unit has given up playing cd's and mini disk!